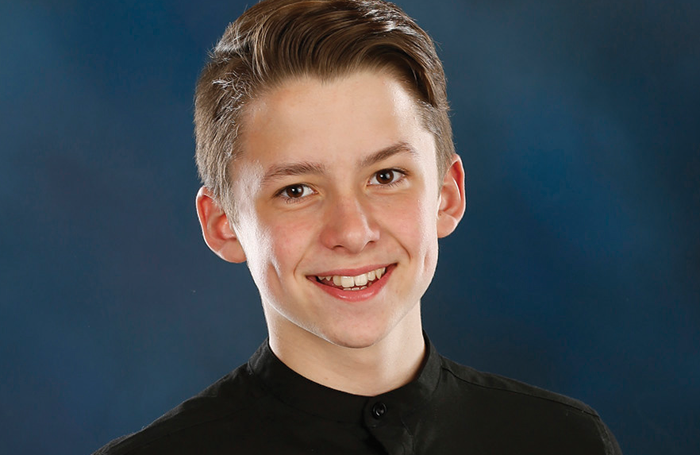 The winner of The Stage Scholarship 2018  at Youth Music Theatre UK is Noah Cochrane, aged 12 from Portadown, Co Armagh in Northern Ireland. Noah was selected from a large pool of aspiring performers aged between 11 and 21 who auditioned to join Youth Music Theatre UK earlier this year. Noah has been offered a full scholarship on YMT’s prestigious summer production programme, an award worth £1,900. Noah will train with a top-flight creative team working on the new musical adaptation of Paperboy. Speaking of his experience at the YMT audition, Noah said he was delighted by the offer: “I was speechless when my mum showed me the email to say I had won The Stage Scholarship, I couldn’t believe it. All I long to do is perform. Thank you so much for this amazing opportunity and I cannot wait to start rehearsals in July. Paperboy has been commissioned and produced by Youth Music Theatre UK and adapted from the internationally acclaimed memoir by Irish writer and peace-builder Tony Macaulay. The musical is composed by platinum-selling Belfast artist Duke Special with book by stand-up comedian Andrew Doyle and is a heart-warming, coming-of-age, musical drama set against the gritty backdrop of 1970s Belfast. The production will be performed at the Lyric Theatre Belfast from July 26 to 29.